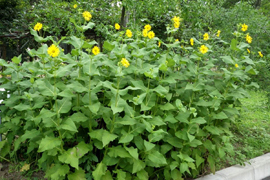 This area contains plants used as not only foods including wild and vegetable, cloth, timber but also culture and ceremony. 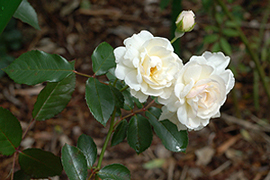 This area features a collection of roses and bulbous plants that have since ancient times been used for ornamental purposes, and varieties of herbs and other plants that are believed to have soothing effects. 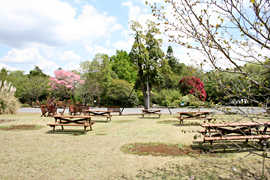 Visitors can relax on the benches in the grassy area. 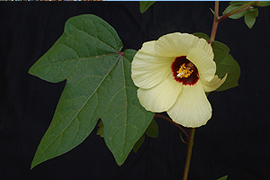 Fruit trees, medicinal plants, and ornamental plants from Japan and elsewhere are grown and displayed in this area. 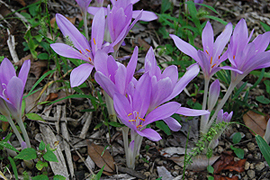 An increase in the number of endangered plant species will lead to a serious reduction in biodiversity. 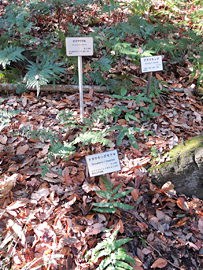 Endangered plant species native to Japan are displayed in this area so that visitors can understand the importance of biodiversity conservation. Mt. 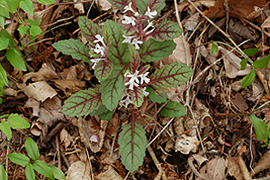 Tsukuba, one of the most popular mountains in Japan, is known to have huge biodiversity. 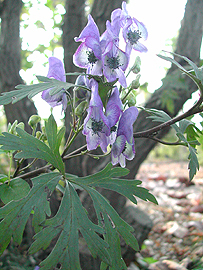 As the altitude increases, the vegetation changes from evergreen broad-leaved and warm-temperate deciduous broad-leaved forests to temperate coniferous forests and cool-temperate deciduous broad-leaved forests. 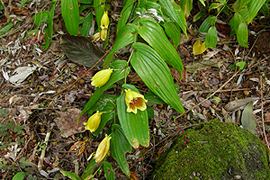 In this area, many plants whose names originated from the word "Tsukuba", and those firstly found in this mountain. 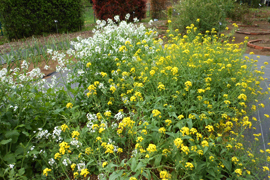 More than 1,000 individuals of approximately 210 fern species are grown here. 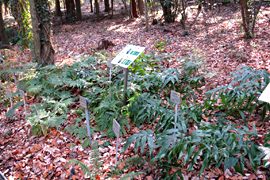 In the area, there are ferns distributed around Tsukuba, ferns distributed from Japan to the Himalaya, natural hybrids and its putative parents, and apomictic ferns. 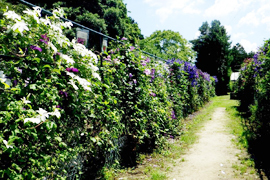 Approximately 1,200 plants belonging to more than 200 kinds of clematis including wild species and cultivars are grown in a field that is open for public viewing when the flowers are in bloom in May and June. 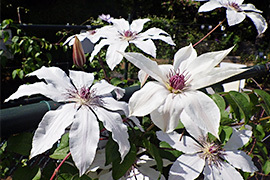 Japanese species and cultivars such as Clematis patens were taken to Europe to create many horticultural varieties. 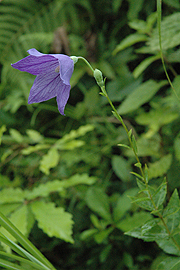 The Tsukuba Botanical Garden is devoting its energies to the collection and preservation of mutant varieties of the endangered Clematis patens, a variety that is unique to Japan.